Internet slang has seeped into our everyday vocabulary thanks to technology enthusiasts or run-of-the-mill people looking for shorthand to save keystrokes or hackers seeking code to cloak their messages. The trend has brought with it geeky terms that could have only been conceived by those who have spent years living in front of a computer monitor. Geek speak has gained recognition by the likes of the Oxford English Dictionary. 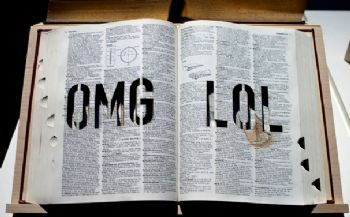 Last year, it even added "lol," which for the uninitiated means "laughing out loud" or "laugh out loud." The origins of many tech terms, though, remain a mystery. Many of them originated back in the early days of the Internet before it was carefully indexed and cached by Google. So, it may be impossible to find the first user of a term like W00t, a common Internet slang interjection to express excitement, for example. However, some of these terms have a clearer origin that even predate the Internet culture that made them famous. Here are five Internet slang terms with a surprising history you might not know. This is both a geeky term and an entire language more commonly called "Leetspeak." The definition of the term leet is shorthand for the word elite. For example: "Those are some leet game competitors." Leetspeak, the language, is like a digital version of Pig Latin except much more complicated, used to create private speech. In Leetspeak, letters are replaced with numbers and symbols. 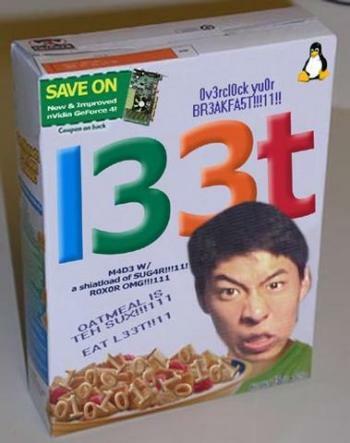 For example "leet" itself would be spelled 1337. The origins of the Leet language date back to the 1980s and days of bulletin boards, which were the primordial soup where a lot of Internet slang first came from. Leetspeak soon gained popularity within the hacker community as a way of communicating in code on websites and newsgroups. Cloaking their activities in Leetspeak allowed them to hide their discussions from search engines and keyword searches. The methodology for translating into leetspeak is often haphazard with multiple ways of translating some letters. If you want to try out leetspeak for yourself you can consult a handy chart or cheat by using one of the many leetspeak translators on the Web. This term seems to have fallen somewhat out of favor in recent years as Internet slang due to overuse in the early part of the 2000s, but there was a time when you didn't beat people at videogames, you pwned them. 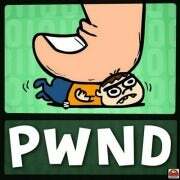 The exact origins of pwn are disputed. One popular theory says the term originated back in the 1930s in the world of chess when a Russian competitor’s accent changed "I will pawn to your knight" to "evil pwn you tonight." Many sources including a Canadian Press article propose that the modern usage probably originated in a typo when attempting to type "own." There’s no definitive proof that’s the case, but if that origin is accurate then pwn belongs to a whole class of Internet slang that owes its existence to misspellings like "teh" rather than "the." This refers to an online commenter or poster on an Internet forum who knowingly posts controversial or incorrect material just to try and stir up a reaction. The origins of the term are easy to trace. It's essentially a double entendre for the fiendish and ugly mythological being "a troll" and the action of "trolling," fishing. 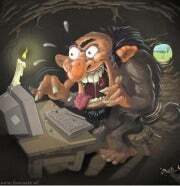 Therefore, an Internet Troll is an ugly person who fishes around on the Internet looking to start a fight with the lure of inflammatory comments. The first recorded use of a "troll" in this context came from a group on the newsgroup service Usenet called alt.folklore.urban. In the early 90’s alt.folklore.urban branched the term out from its earlier mythological meaning and began using it to describe a behavior it had seen in its members. Other Guy: "I just found the most pathetic thread in existence." Originally, trolling wasn’t considered a negative activity to the community. Trolls would post information and arguments that were already well-worn within the community to separate the veteran group members (who wouldn’t engage) from the new members (who would). "Trolling for newbies," as the activity was known, helped establish a hierarchy on the board and was considered by most users to be a useful function. This term was created in the early 80's as a simple blending of the words emotion and icon. But emoticons themselves, the tiny ASCII faces people throw into your IM conversations to show how they’re feeling, have roots that date back way before the Internet was invented. There are numerous examples of 19th century emoticons. Most examples were oriented up and down like a regular face so they look different than the left-rigt, but the concept is exactly the same. For emoticon purists, there is even a disputed example of something that looks like a modern emoticon in 1862 in a newspaper report of one of Lincoln’s speeches. Regardless, emoticons actually predate their modern Internet context by over a century. This term is short for the phrase "good game" and it's one of many terms that originated in multiplayer games such as Marathon. The shorthand of "gg" is a time saver for those playing a live opponent. In the heat of battle, "gg" serves as shorthand to save you from having to type out "good game" so you don’t waste precious seconds typing. These days typing "gg" is a customary way to cede a match to your opponent in games like Starcraft II. You're essentially saying it has been a good game, but it's over now and you’ve lost. 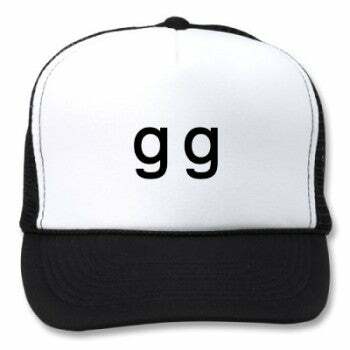 There are variations of "gg" such as "gl," which means "good luck." It's hard to track back the exact origins of tech jargon. John Brandon at our sister publication Computerworld has traced "gg" back to the multiplayer game Marathon. The game's relative ease of setting up a multiplayer match made it a huge hit back in 1994. That community of gamers has been credited for using gg for the first time and popularizing the term. If you want to try out the game that helped create modern Internet slang you’re in luck, Bungie has released the original Marathon games for free. Of course, these are just some of the many terms that are becoming a part of our daily lives on the Internet, but they show the challenges Web etymology faces trying to trace these terms back into the wild days of the early Internet along with the insight we can glean when a term’s origin is found.